PeachTree Place Assisted Living Community is an Ogden area retirement home in West Haven, Utah. Our trained and professional staff provides a level of care that accommodates the individual needs of each of our residents. When it comes to a retirement home solution, we understand that there truly is no one size fits all solution when caring for individuals in the later stages of their life. 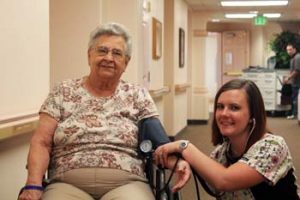 With our professional staff, services, and wide array of amenities, we are undoubtedly the right place to choose when selecting a retirement home solution for your loved one in the Ogden area. While every retirement home in West Haven and Ogden strives to provide the best nursing care and comfort for isolated senior citizens, some are just better than others, and a few simply stand out. Offering what is considered by many to be the best Type II continuing care and retirement living community, PeachTree Place Assisted Living Community can claim to be among the finest in providing the quality of life that seniors deserve in their twilight years. Our Ogden area retirement home provides a small town, home-like ambiance, well-maintained facilities, manicured gardens and a dedicated professional staff that can provide our residents with the care, security, and social engagement that comes with a sense of privacy and independence. 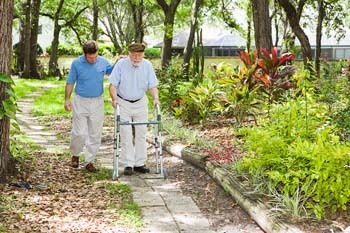 We have been providing assisted living services to our Ogden area community in West Haven for over 13 years. Because of our experience, we have made a difference in many lives and offer an alternative to other senior retirement home options. At PeachTree Place Assisted Living Community you can expect the best level of professional, physical, mental and emotional support in every aspect of our services. At our retirement home, senior residents enjoy the company of fellow retirees with suitable indoor and outdoor leisure activities, holistically engaging the mind, body and spirit, while having fun in a totally secure, supportive and relaxing community. Residents can bring their own favorite pets with them, engage in their hobbies, and attend religious services that nourish their spirits. Salon services are also a few steps away for those who always want to look their best regardless of age. For seniors with degenerative mental and cognitive problems like Alzheimer’s, PeachTree Place Assisted Living Community has its unique “Orchard” service providing the needed memory care that comes with regular medical attention and emotional support. All these services are provided for under 24 hour surveillance and personal monitoring to ensure that our residents have the most secure, safe and fulfilling experience for the rest of their lives. In short, what you get from our retirement home is no less than home away from home. If you are interested in a retirement home in the Ogden area of West Haven for your loved one, please give PeachTree Place Assisted Living Community a call at (801) 682-4948. 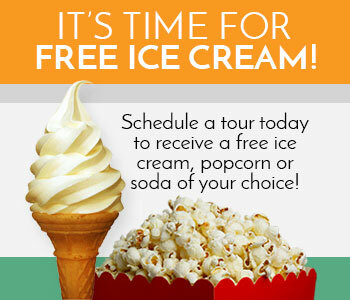 We look forward to answering any questions you may have about our facility and invite you to schedule an on-site tour today.